Not all plastics are created equal. The different numbers used by the plastics industries signify different base resins. 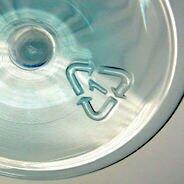 This page gives an outline of what plastics are good and which aren’t so good. Plastics are classified by their “resin identification code”—a number from #1 to #7 that represents a different type of resin. That number is usually imprinted on the bottom of your product or package. 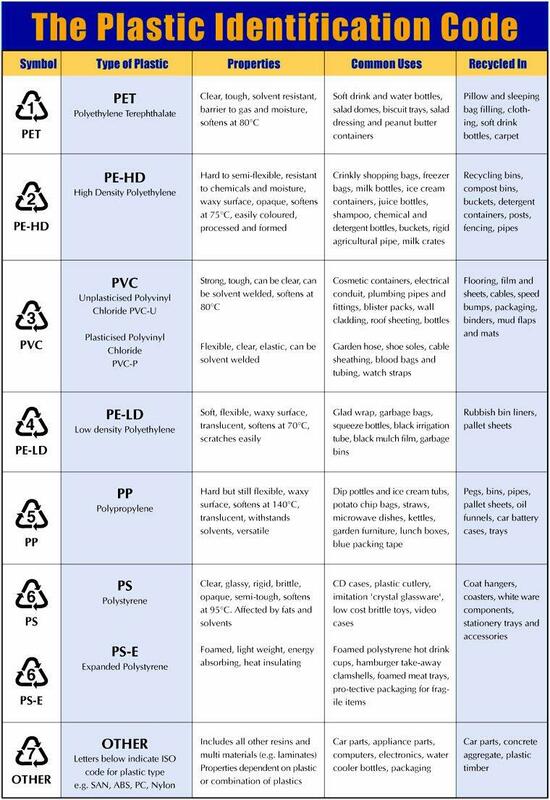 These three types of plastic are your best choices. They transmit no known chemicals into your food and they’re generally recyclable; #2 in particular is very commonly accepted by kerbside recycling. Fine for single use and widely accepted by kerbside recycling; avoid reusing #1 drink bottles they’re hard to clean and since plastic is porous these bottles absorb flavors and bacteria that you can’t clean off anyway. plastics made from renewable resources such as corn, potatoes and sugar cane and anything else with a high starch content; although you can’t recycle these plant-based plastics, you can compost them. Used frequently in cling wraps for meat, PVC contains softeners called phthalates that interfere with hormonal development, and its manufacture and incineration release dioxin, a potent carcinogen and hormone disruptor. Polystyrene-foam cups and clear plastic take-out containers can leach styrene, a possible human carcinogen, into food. The only plastic made with bisphenol A, polycarbonate is used in baby bottles, water-cooler bottles and the epoxy linings of tin food cans. Bisphenol A has been linked to a wide variety of problems such as heart disease and obesity.